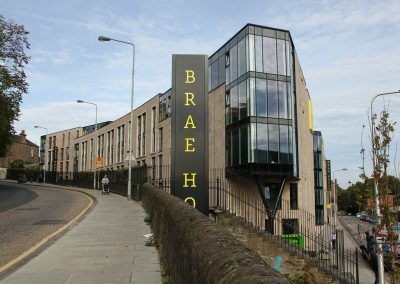 Brae House Edinburgh is opened in 2016. 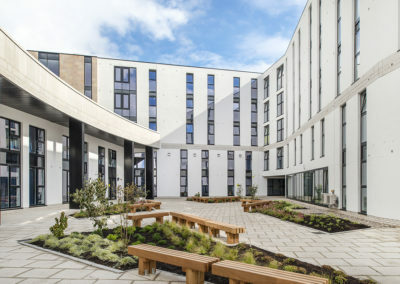 Located at the end of the Royal Mile, close to the new Scottish Parliament, Arthur’s Seat, Holyrood Palace and South Bridge. 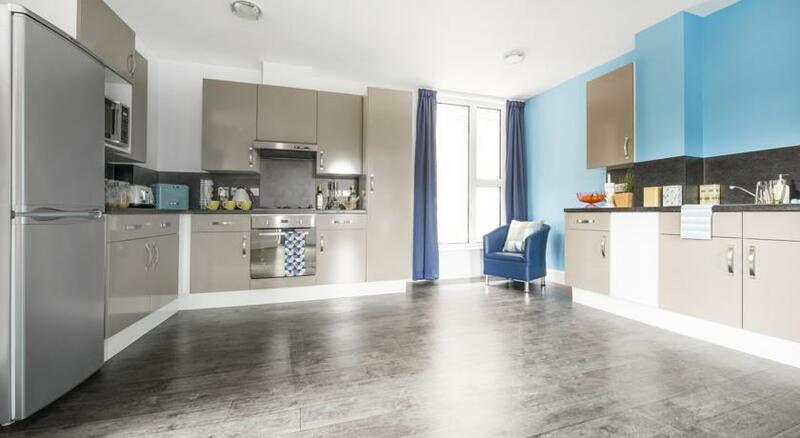 Everything is just a short walk from this fantastic location. 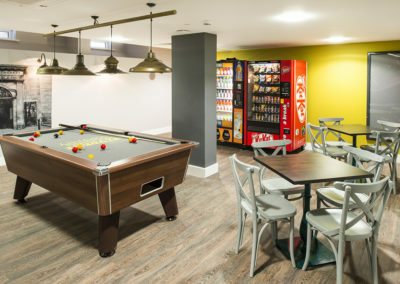 Wonderfully set up with recreational areas such as common rooms, shared kitchens, TVs and game room. 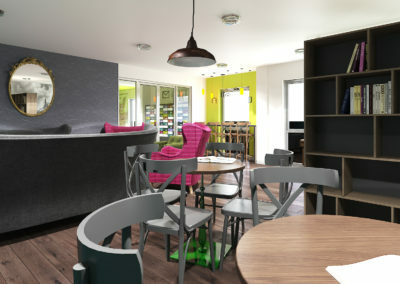 The kitchens are fully equipped and all of the bed rooms are ensuite with private bathroom and shower. Sparkiling clean and no sharing. 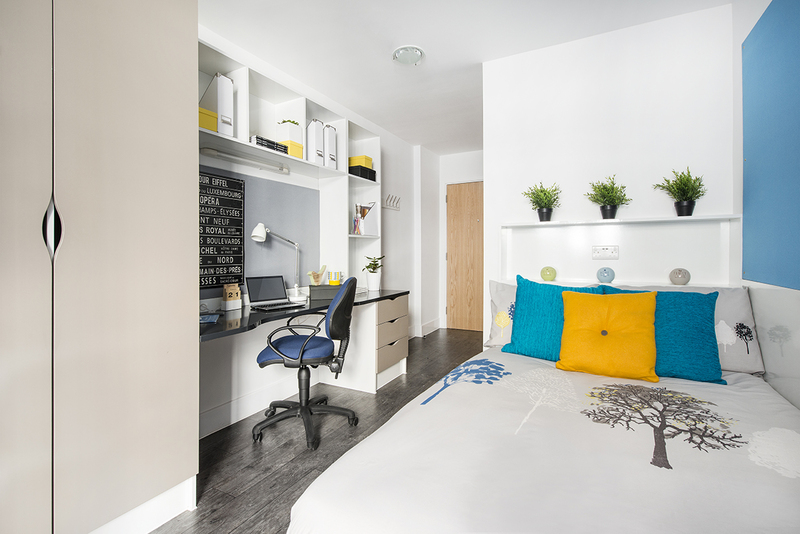 Choose between double rooms or studios with your own TV and kitchen for more comfort. Our friendly knowledgeable staff are experts on Edinburgh. They will be happy to assist you on where to go in Edinburgh or what to see and do. 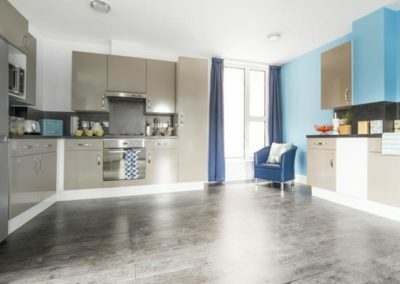 Enjoy this prime location to explore Edinburgh. During the day. Experience the world-renowned Edinburgh Castle, Holyrood Palace, Cathedral and Princes Street. All just a very short stroll. Then when the sun goes down all the main pubs and restaurants are just a few minutes walk away for your enjoyment. 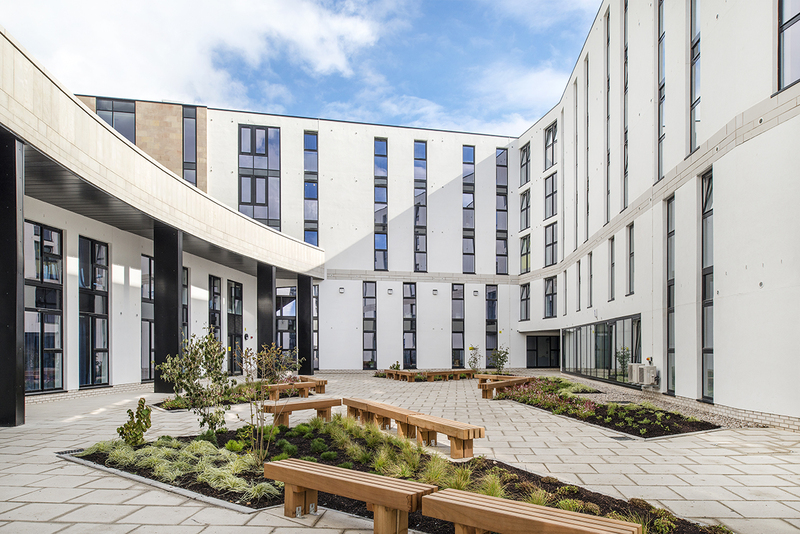 Waverley Train station, new Tram Route and the airport shuttle bus are all about 10 minutes walk away. 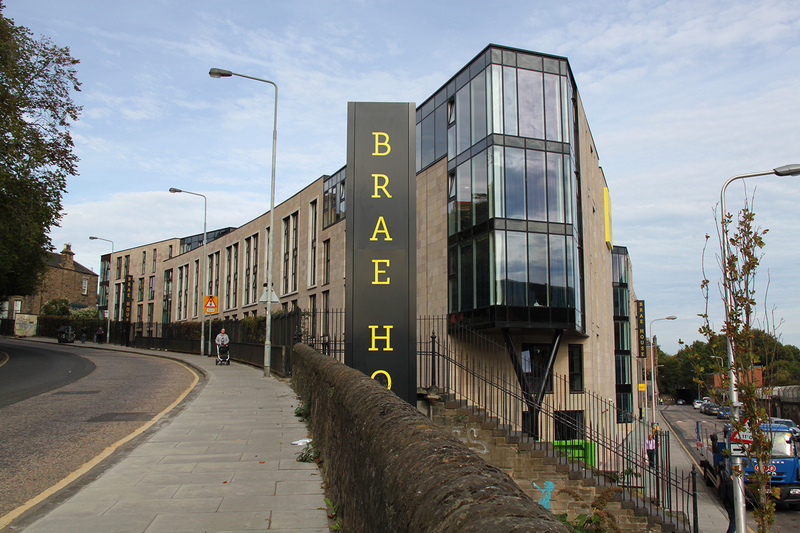 Brae House has a fantastic city centre location. 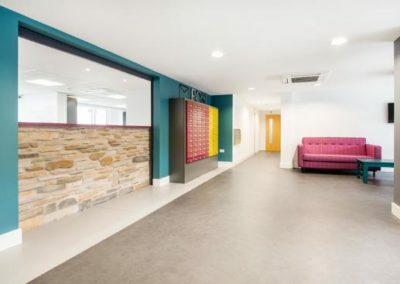 Situated between Princes Street and Edinburgh’s historic old town you can walk to all major attractions in minutes. Holyrood Palace and Arthurs seat are just 500 yards away. You wont need a car at Brae House. Take a walk up the high street under the shadow of Edinburgh Castle and explore Edinburgh’s wonderful attractions. find just a very short walk away. 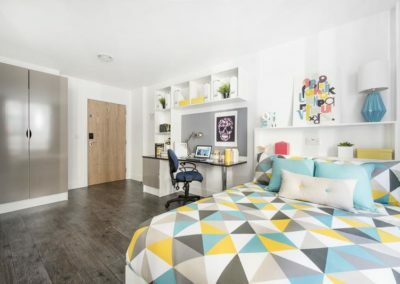 Brae House is set up apartment style. 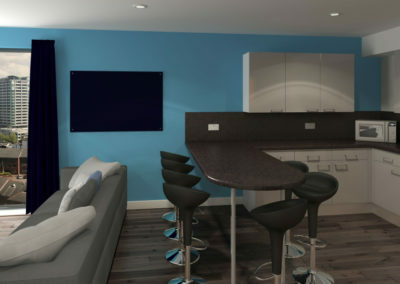 Each apartment has a spacious lounge area and fully fitted Kitchen with plasma tv and wifi. 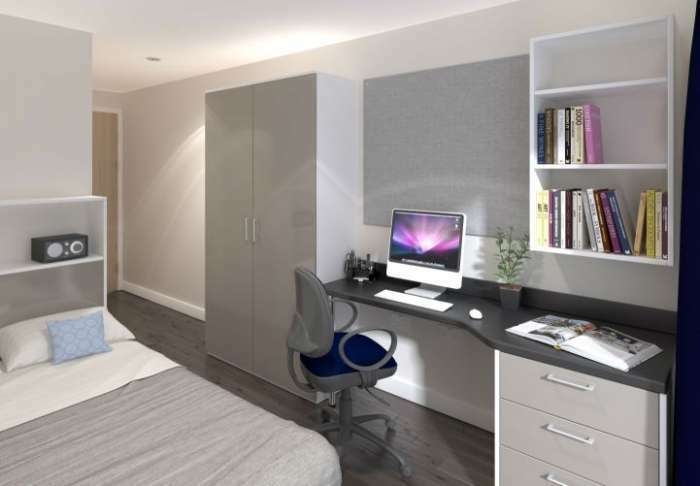 Every bedroom has its own private bathroom and shower. 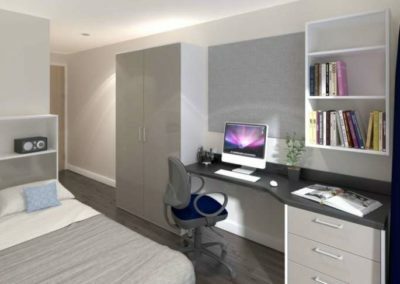 Most apartments have 5/6 bedrooms. These can be exclsively booked by groups. We also have some larger deluxe studios. 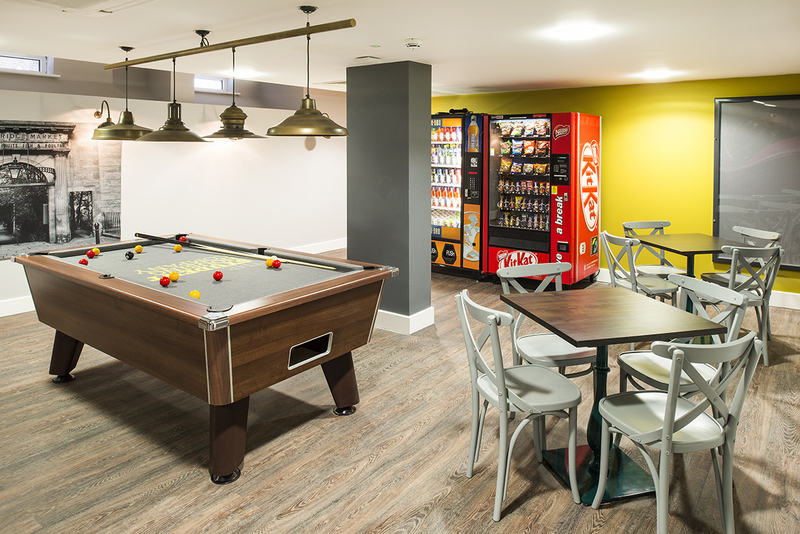 With all the great recreational space and facilities Brae House is extremely popular with groups. 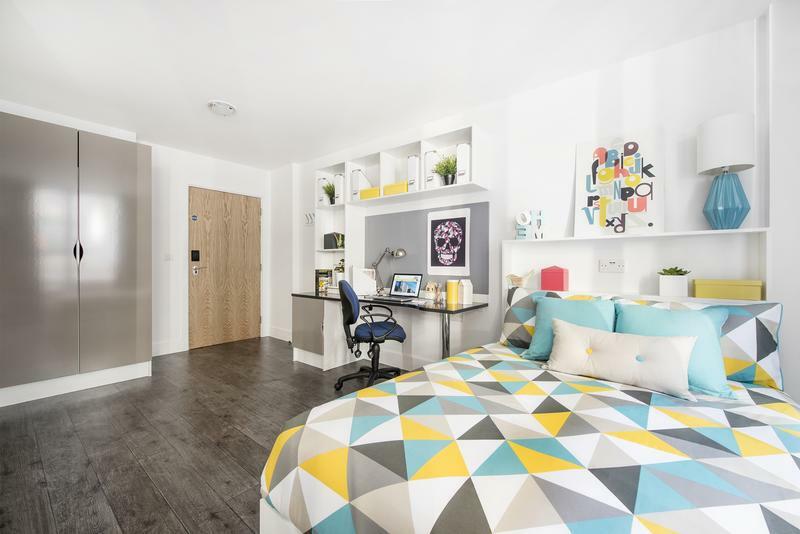 The apartments are rooms tend to book out pretty fast so be sure to book well in advance to avoid disappointment. 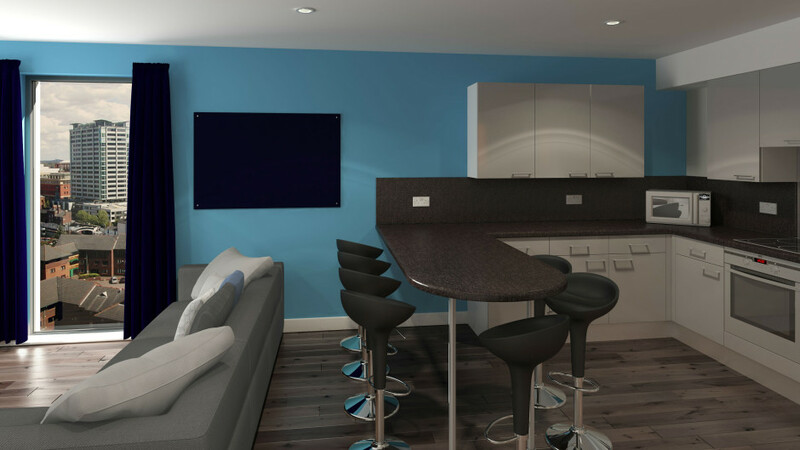 We’re confident we’ll have something that will more than suit your requirements and exceed your expectations. Check out our ‘Vital Statistics’ before you book to find out if Brae House Edinburgh is a match for you or your group. 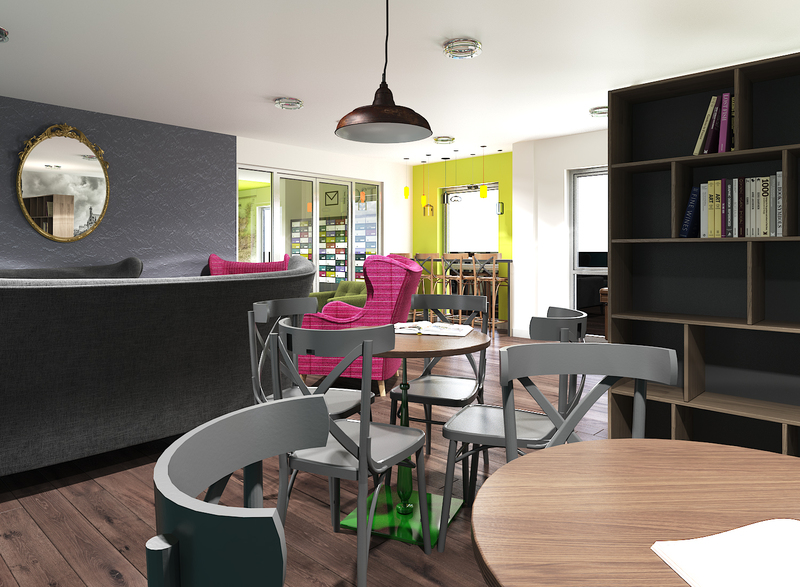 At Brae House Edinburgh we can comfortably accommodate groups of up to 120 persons. Sorry but we do not accepts Stag or hen Parties. 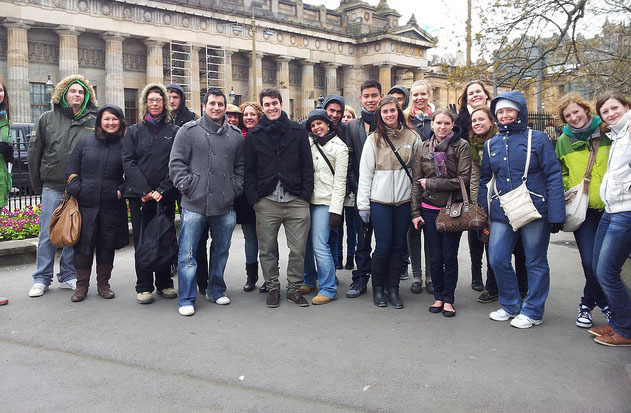 We regularly welcome large summer groups of all types and sizes to Edinburgh Scotland. Language, student, sports groups and famailes are all welcome. 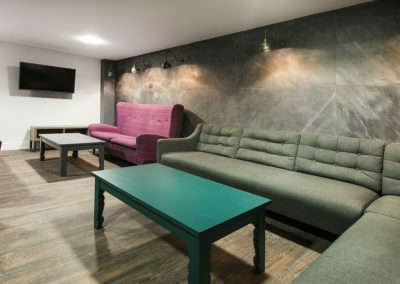 We do accept student groups with persons under the age of 16. .
Just let us know the size of your group, the type of room layouts you require. We will get back to you within 24 hours with a great option, tailored to meet your specific needs. 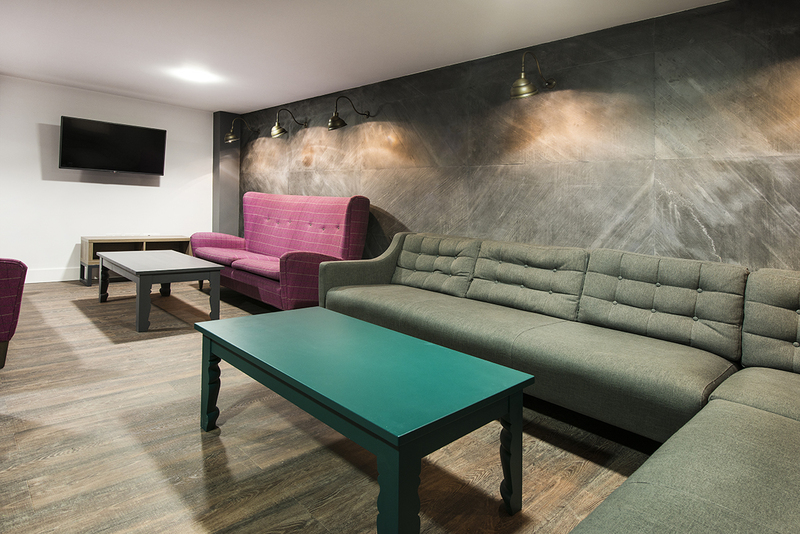 Even better if we can’t accommodate your group at ‘Edinburgh Backpackers Hostel’ we will send an alternative option.